The Ladies Altar Society of the Church of the Assumption was founded in 1852. The meetings are held four times a year, on the third Monday of the months of January, March, June, and September. The January meeting is a Gumbo and Bingo Social. The purpose of the Altar Society is to obtain and maintain necessities for the altar and sacristy of the Church and Adoration Chapel. A collection on Mother's Day, Father's Day, and a Bread and Wine collection in the fall are held each year to provide funds for the organization. The ladies also assist with dusting and light house keeping in the Church. 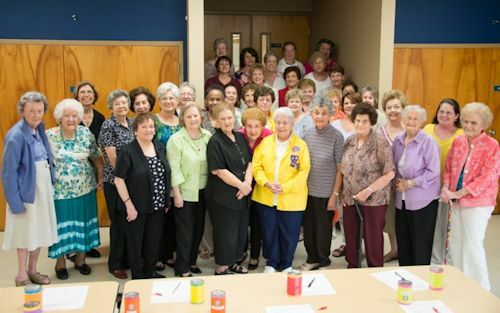 Ladies interested in joining can contact Elaine Karam at 337-828-2698 or call the rectory at 337-828-3869.